An obituary is a published notice of a person's death. It is common for family members or the funeral home to place an obituary in the local newspaper in order to announce a death. If you want to find an old obituary but don't want to pay a fee, there are ways to locate old ones, from recent deaths to those that occurred centuries ago. However, it will take some work as free obituary archives are not as easily found. There are resources for searching for free obituaries if you are willing to put some time into the search and/or offer up your credit card for a free trial. From newspapers to online resources, with enough digging, you should be able to find almost anyone's archived obituaries if you have the right information. Almost all newspapers publish obituaries on their websites. However, some sites keep obituary records online for six months or less, so this option may only work for a recent death. If you're unsure of the name of the newspaper (or newspapers) in the deceased's hometown, check Obituaries.com, which provides direct links to the obituary page of hundreds of newspapers, including the United States and several English-speaking countries. To perform an obituary lookup through the site, type the individual's first and last name in the search field at the top of the page, then select the country of death. The search can be further narrowed by selecting the specific state (Australia and the United States), province (Canada), region (New Zealand), county (England, Northern Ireland, Republic of Ireland and Scotland), or island (the Bahamas). 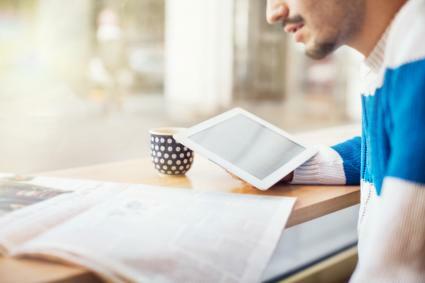 Once you locate the appropriate newspaper, you can search its online obituary archives by finding that newspaper's website. Ancestry.com is a searchable database of dozens of different types of documents, from obituaries to census records to ship manifests. The site provides a search option for "Birth, Marriage & Death." Type in as much information on the deceased as you know, and the site will provide a list of possible matches. The findings can be further narrowed to show only "Death, Burial, Cemetery and Obituaries." It is important to note that Ancestry.com only offers a free two-week trial for new members. The free trial does, however, grant you full access to whatever results your search uncovers, as well as the ability to print copies for your records. Just don't forget to cancel your trial otherwise it won't be free. You do have to give them your credit card number for the free trial. Tributes.com offers a free obituary search with as little as just the last name. The website provides information from the Social Security Administration (birthdate, death date, and city of residence upon death) and then links to other sites for copies of newspaper obituaries. It's an excellent starting point to find the person you're looking for if you have limited information and haven't been able to find anything with a general Internet search. Legacy.com includes more than 200 million obituaries from more than 900 newspapers from all over the world. To locate an obituary, enter the deceased's first and last name in the search bar on the top right corner of the page. You can further narrow the search by selecting the country and/or state where the deceased lived. This is a great way to find obituaries printed in a newspaper. However, the site itself does not archive obituaries, so if the person you're looking for did not have an obituary printed in the newspapers listed on the site, your search may not yield results. The Mennonite Archives includes obituaries for members of the Mennonite faith dating back to 1884. Obituaries are organized alphabetically by last name, alphabetically by maiden name, and year of death. If the person you are looking for was a Mennonite - consider yourself lucky! It makes it easier to find a free obituary. Old Virginia Obituaries includes obituaries from old Virginia newspapers published between 1790-1940. The site is organized alphabetically by last name. To locate an obituary, click on the first letter of the deceased's last name in the column located on the left side of the screen. There is no database of obituaries maintained by the United States, but Canada does offer a database maintained by the government. The Canadian site offers death notices of residents; American residents can seek out death certificate images or information through their state or county officials. While websites specializing in obituaries and historical records can sometimes offer some great, extensive information, don't discount a simple Internet search through Google or another search engine. If you have the full name of the person, typing, "(Full name) obituary" into the search engine to find some very helpful results. The benefit of this is being able to see a list of results from various websites to see which one has the information you're looking for. If your online search is not helpful, there are still other places you can go to find an old obituary. If you live in the same area as did the person whose obituary you are searching for, you can check out your local library. Libraries usually subscribe to local and regional newspapers and keep hard copies for several weeks or more. To obtain an obituary that was published years ago, ask the librarian to help you search through back issues of newspapers. Older issues are available on microfilm, which you can read in the library on a microfilm machine. Because the microfilm cannot be removed from the library, make sure to bring a pen and paper to record your findings. 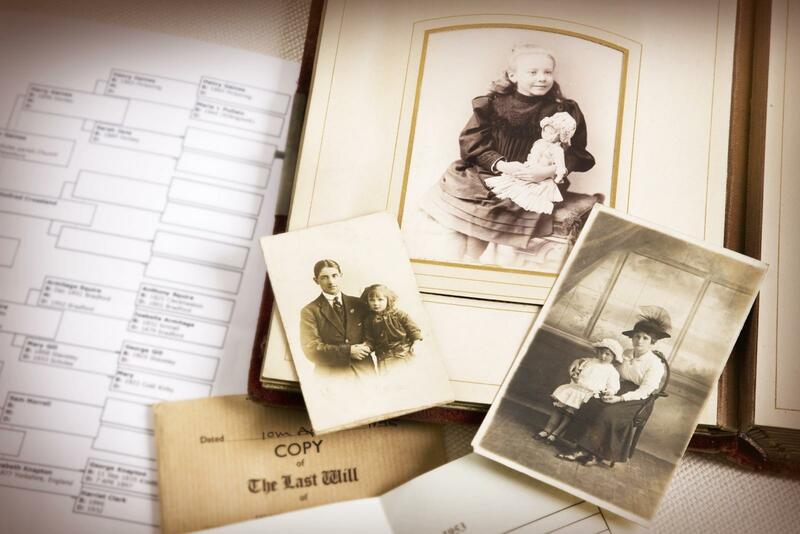 The Mormon Church has collected a wide assortment of information, including obituaries, as part of its genealogical research efforts. This information is available to the public at the church's Family History Library in Salt Lake City, Utah. With more than 2.4 million rolls of microfilm, 742,000 microfiche records, 310,000 books and hundreds of electronic records, it is the world's largest genealogical library. Librarians can help guide your search for an old obituary by directing you to the appropriate resource. If you can't get to Salt Lake City, you may be able to order the information you need for viewing through your local Family History Center. Obituaries serve an immediate purpose by announcing a person's death and informing friends and family about the memorial service or funeral. Yet many people enjoy looking for old obituaries as a way to fill in the gaps in their family history. When a family member takes the time and effort to uncover more information about someone from decades ago, it provides a wonderful legacy for all family members. Regardless of your purpose in searching for an obituary, there are a variety of relatively easy and inexpensive ways to find them.